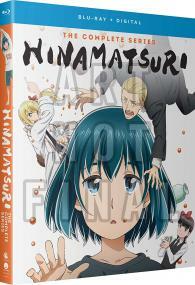 The complete uncut version of HINAMATSURI! Yakuza member Yoshifumi Nitta’s way of life takes a turn for the absurd when a strange, telekinetic young girl named Hina falls onto his head. Now he’s stuck caring for this socially awkward psychic weirdo while struggling to continue his normal criminal lifestyle. With a huge line-up of unique characters, hilarious antics, and emotional side stories, get ready for a wild ride.